Image Size: 560 × 560. 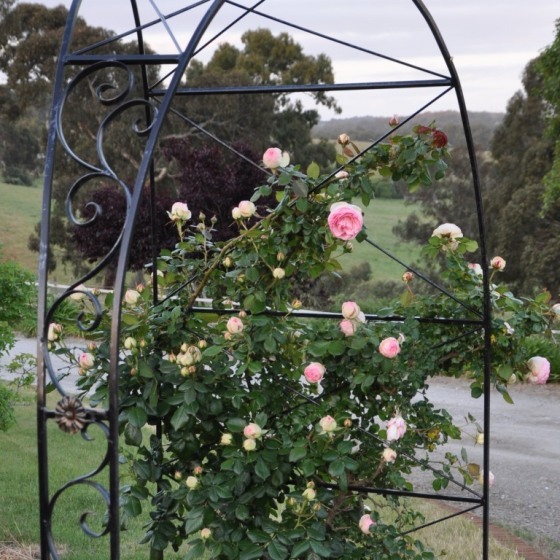 The canes of this Pierre De Ronsard are trained along diagonal supports in this rose arch. You can see the flowers emerging on the side shoots.